Are you in need of a great youth sized catcher’s glove that isn’t expensive? 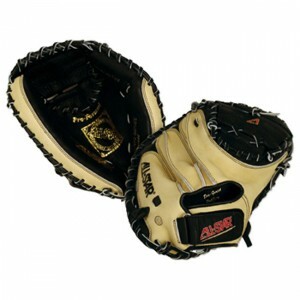 Look no further than the All Star CM1010BT youth sized catcher’s glove. This glove has some great features that are a must have for youth players. What many parents and youth players don’t realize when buying a glove for a younger player is that the features that a professional baseball player needs are not the same as what the youth player needs. Both gloves need to be designed specifically for their target player and I will show you why the All Star CM1010BT is the right glove for youth players. This glove comes with a great pro with its wide heel channels and enlarged pocket. What this helps with is opening and shutting the glove and more area to catch the ball. With younger players who are learning how to catch, getting used to the shape and feel of the catcher’s glove will be a difficult task at first. The CM1010BT features an oil-softened leather shell that helps reduce the time for break-in. This is very helpful for younger players as they want to get out on the field as soon as they can and use it. The fast break-in time also helps prevent any frustration younger players might get when they can’t close the glove all the way and catch baseballs. This frustration can happen for gloves that arrive without any oil treatment where the player doesn’t have the time to fully invest in breaking a glove in. I assume the player isn’t practicing everyday with it and doesn’t have the luxury or time to constantly catch baseballs to mold it perfectly. If that is the case, this glove will work wonders for the player. Here is what a customer had to say about their purchase of the All Star CM1010BT youth catcher’s glove. One of the problems this glove may have is the padding in the palm. This glove is made for younger players, so it’s made to be a light glove for the player can hold it up and not be too heavy. To do this, All Star had to sacrifice some leather on the glove which some players have stated that it feels like there isn’t enough there to protect their hand. Other players say it’s enough. It may just be personal preference but also take into consideration how hard the pitchers throw who the catcher will be catching for. If you’re looking for a glove for a youth player, you can’t go wrong with the All Star CM1010BT youth catcher’s glove. 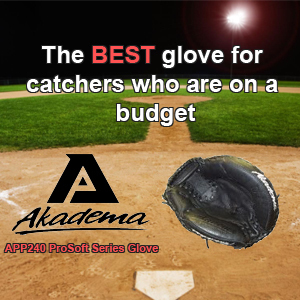 You get a lot of bang for your buck and the player will love it for the helpful features the glove has to help the player ease into the catching position.